2005 specification trailblazer sign. Manufactured between 2005 and 2009. 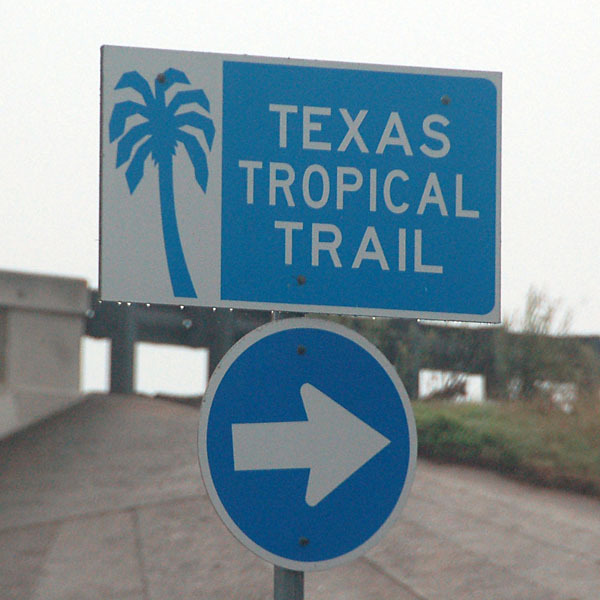 US highway 77 down the southern gulf coast is the Texas Tropical Trail. Photo by Jake Bear, 2/21/2009.